We were thinking about all the things to do in Strasbourg, France, in one day, when we planning our trip to Heidelberg, Germany. The thing is that Strasbourg is just a 2 hours trip from Heidelberg. 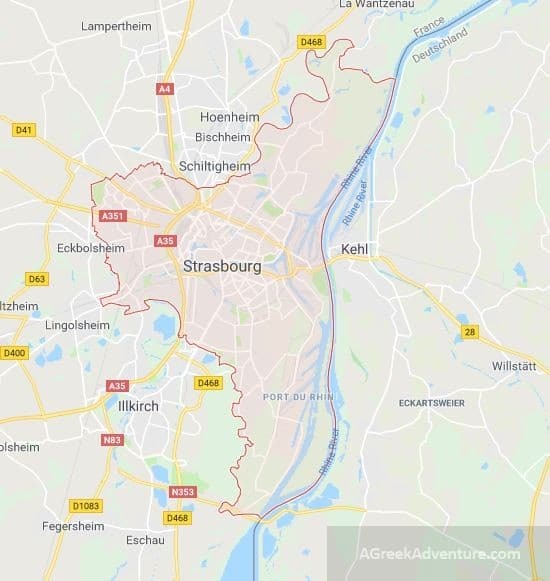 So, Strasbourg is in France but close to Heidelberg. Trains are comfortable, so such a trip is easy. You may have to change trains a couple of times (we did) but intervals are short, so you don’t really wait for long in each station. Seeing the proximity between these 2 cities, we booked both. 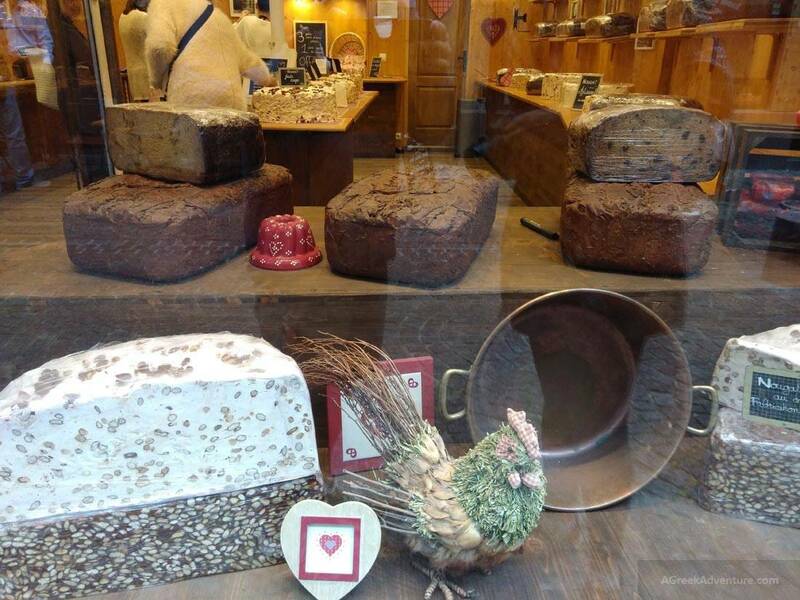 What to eat in Strasbourg, France? 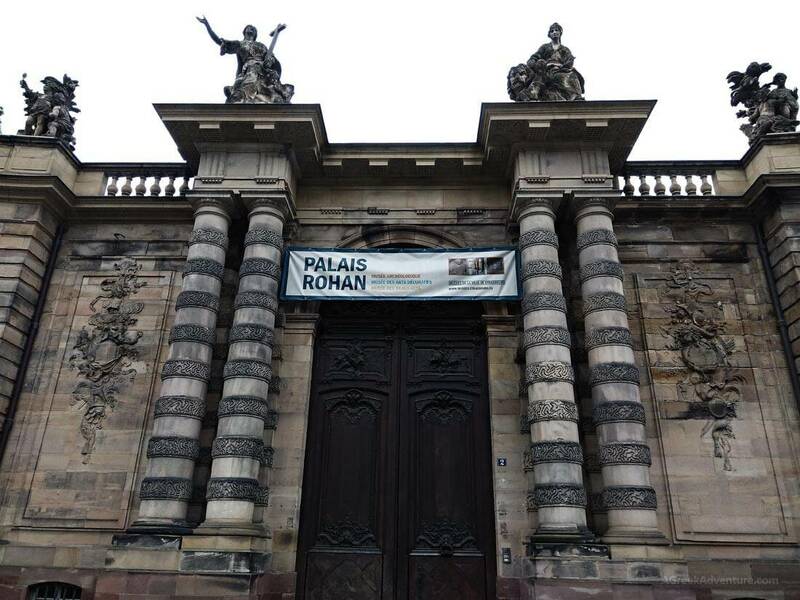 What about the Strasbourg Hotels? We decided to stay just one day in Strasbourg. That is more than enough to explore the historical center and many of the beauties that area has. 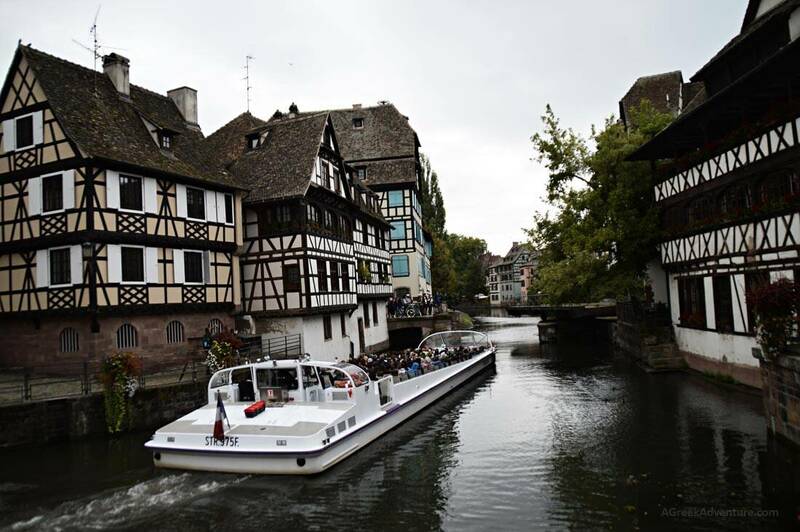 After all most know that as the main reason to visit Strasbourg as a traveler. 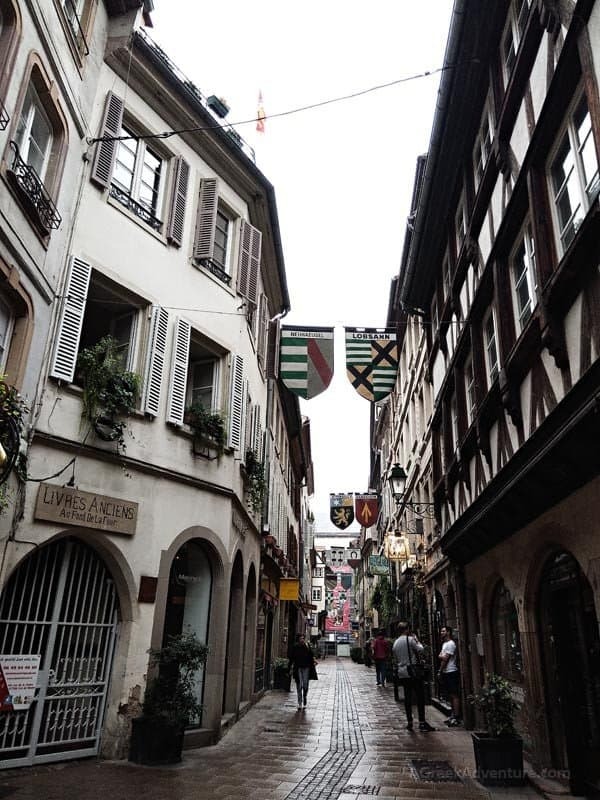 The city of Strasbourg (France) is the official seat of the European Parliament, so most residents, expats, politicians or business travelers come here for specific reasons. 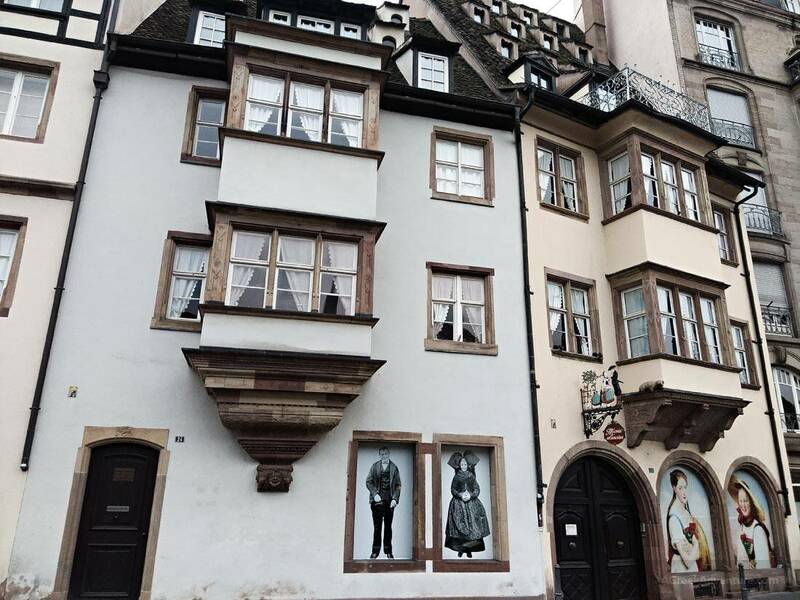 All will allocate time for walking the old city center, the Petit France, a mysterious astronomers clock, and all the many restaurants and cafe in that area plus half-timbered houses. They are many and they are indeed picturesque and beautiful. It was a cloudy day, despite being near the end of August. In fact, it even rained a bit and that gave a completely different feeling of the city. 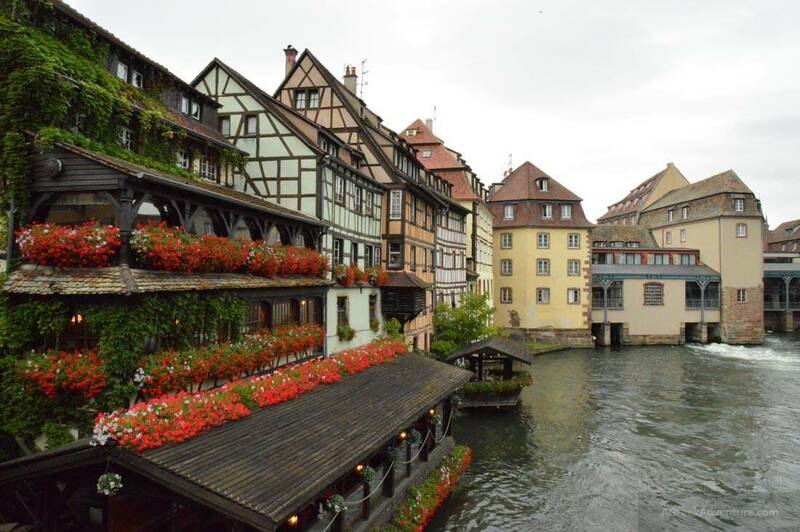 That is indeed one of the most famous locations of Strasbourg. Petit France (French: Quartier des Tanneurs; English: Tanner’s Quarter; German: Gerberviertel) is next to the main Marne-Rhine canal of Strasbourg. During the Middle Ages it was the home to the city’s tanners, millers and fishermen. The river you see next to this area is called River III. This area took the name of Petit-France (Little France) not for its beauty, cultural or architectural reasons. Instead it relates to the “hospice of the syphilitic”, which means to cure persons with… syphilis. You can hop on a river boat and see all the houses from the river but we suggest that you walk through all narrow alleys. 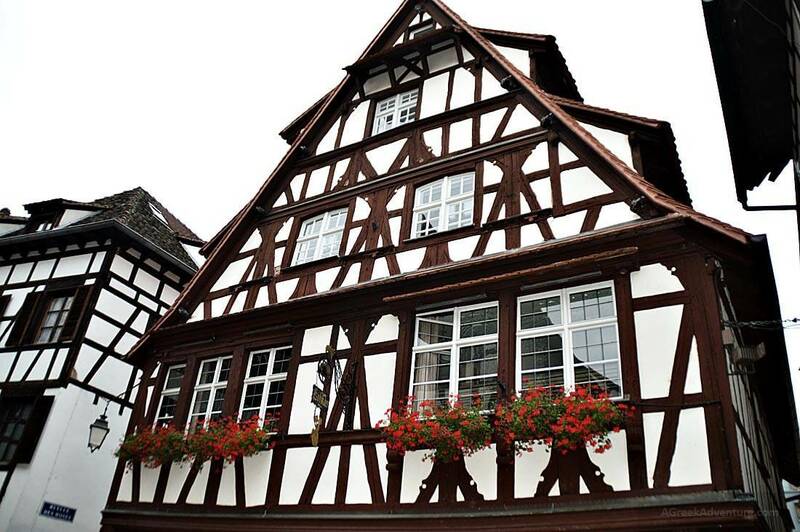 Half-timbered houses are very beautiful and you will have the change to taste some really great bread and sweets along your walk (though fantastically expensive). The best location to start walking this area is from the square near the main train station (Gare de Strasbourg-Ville). Just get out, walk across the square and there everything starts. There are clear signs that point you to all directions. No worries. Walking all the area doesn’t take long, even with slow pace. In fact, that was the main reason we booked only one day for Strasbourg. 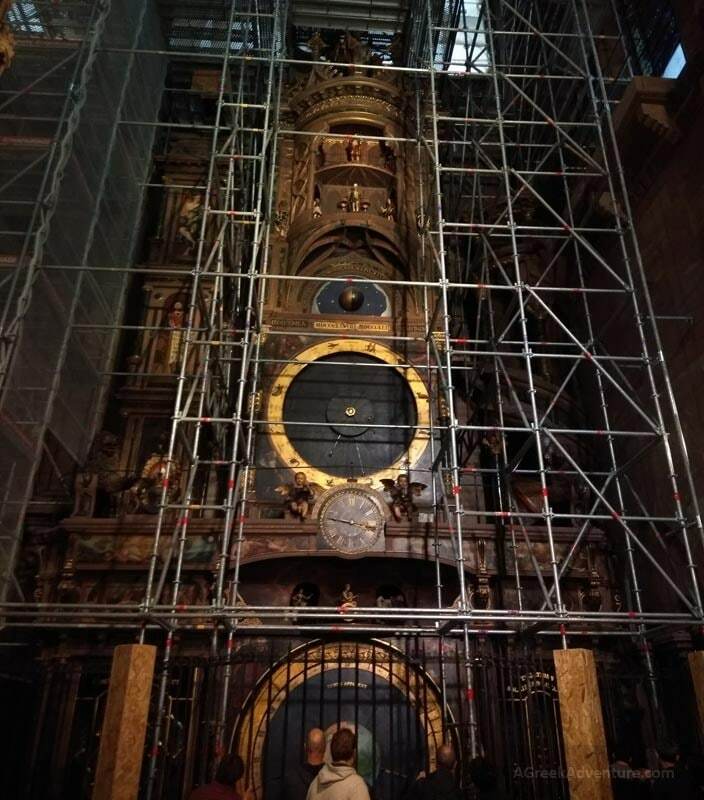 You will see the clock inside the in the Strasbourg Cathedral: Notre Dame of Strasbourg, Alsace, France. Strasbourg Cathédrale Notre Dame of Strasbourg, Alsace, France. Make sure to be there on exact times, i.e. on 12, 1, 2, 3, etc. Then the clock automata animate and scenes change revealing a different message. 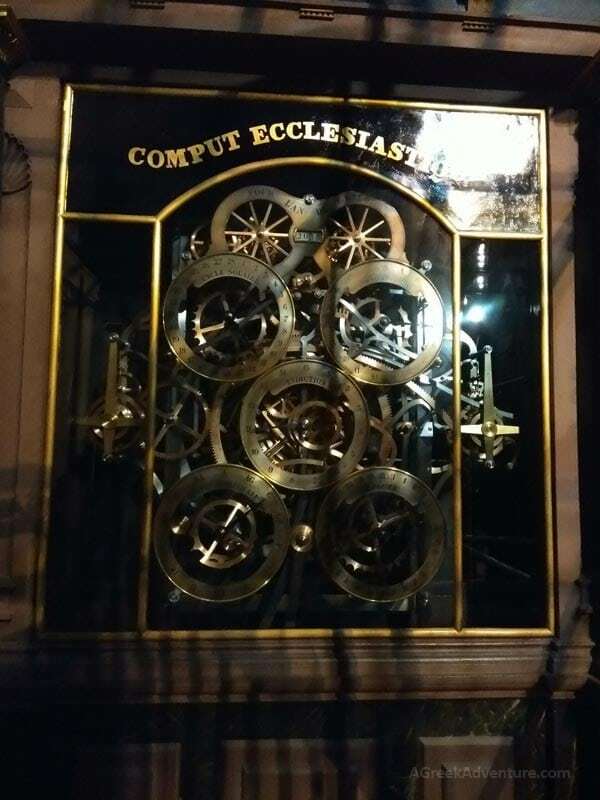 That is the 3rd clock built in the same place. 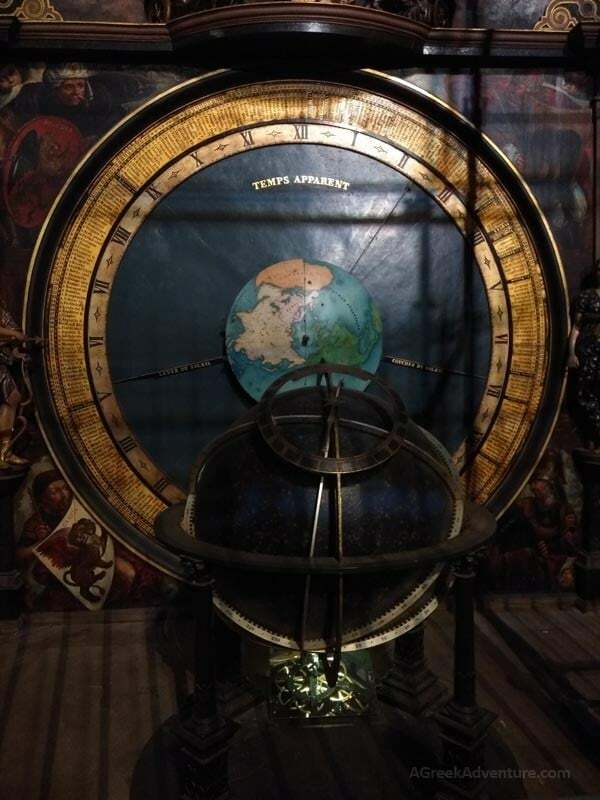 It was built from Jean-Baptiste Schwilgué who in order to built became acquainted with clockmaking, mathematics, and mechanics. His team worked on the clock, only after spending 30 years studying the construction. It took around 5 years to complete it. On the clock you will notice gold and silver hands. The golds show the solar time, while the silver ones show CET time (Central European Time). Another thing you will notice is -maybe- the first, Gregorian Computus. It’s dimensions are 18 m (59′), with a width of about 7.70 m (25′) at the base. There is a huge variety of Italian and French restaurants to choose by. 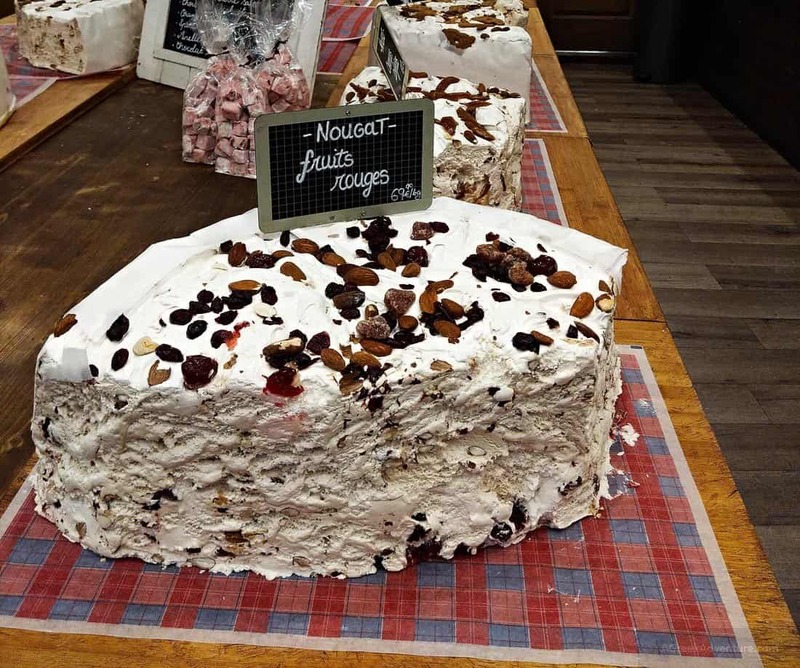 However, you need to taste these 2 things: Their fantastic bread,baked with nuts and honey, and their spectacular nougat sweet. Here is a view of both of these. And a close-up of the nougat! Check out all this sugar! We stayed at Le Grand Hôtel, Strasbourg. That was one minute walking time from the main train station and 10-15 minutes walking from Petit-France. Very nice, really big rooms, very clean. We were not excited with the breakfast though; few choices from which just a few were really healthy ones, with lots of sweets… Well, it is France and breakfast here means lots of sweets too. If your time is limited or don’t want to do any research, and you want someone to walk you through and explain what you see in the city, then these tours are really useful. 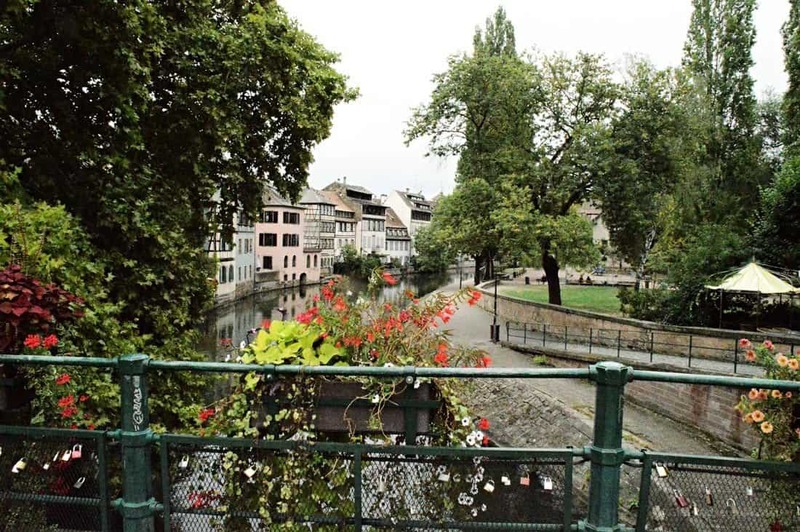 Strasbourg is situated at the eastern border of France to Germany. Since it sits near the German border, it is embodied with culture and architecture blending German and French influences. Strasbourg has an airport so you can reach it from many places with a flight. 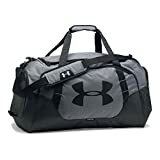 Check this link for price & flights options. You can drive to Strasbourg if you are in Europe, or get the train or even a FlixBus. 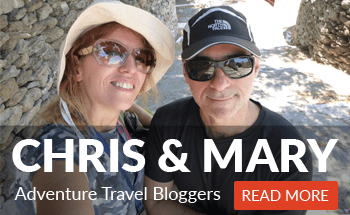 We have traveled in Europe using with FlixBus and trains and it is a very comfortable experience. 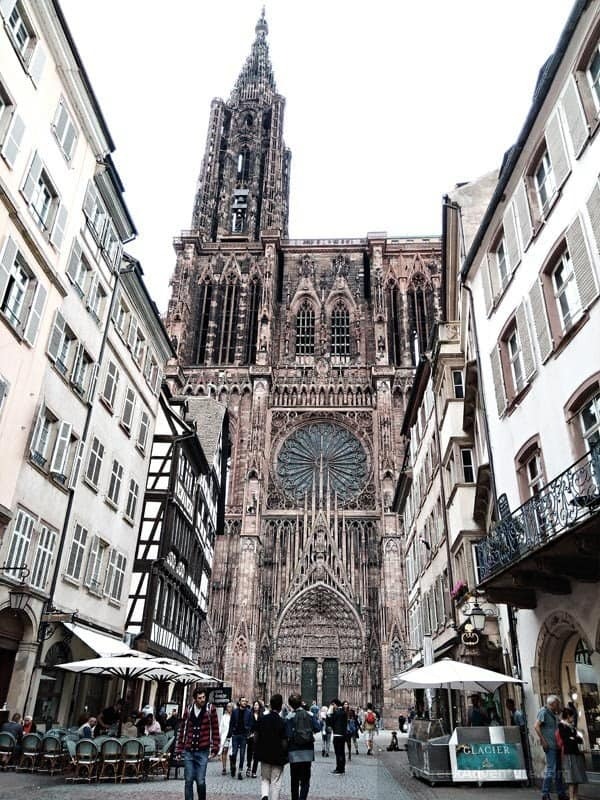 Overall there are a few things to do in Strasbourg but they will fill your day really well. Let us know what else you found out in Strasbourg.